Multnomah County District Attorney Rod Underhill pledged in January 2017 that every person who lives, visits or travels through Multnomah County can report crime and be a participant in the criminal justice system without fearing their personal identifying information will be released to a federal immigration official or agency. Today, he reaffirms his commitment. The Willamette Week article “Despite Oregon’s Sanctuary Laws, Emails Show Portland Prosecutors Volunteered Information to ICE Agents” (June 6, 2018) grossly mischaracterizes the extremely restricted interactions the Multnomah County District Attorney’s Office had with the U.S. Department of Homeland Security Immigration and Customs Enforcement (ICE) last year. Suggesting this office “volunteered” material is disingenuous and erodes our integrity. To say the District Attorney’s Office “reaches” out to ICE and “shares information” was taken out of context. On a very limited basis in 2017, this office communicated with ICE by requesting information from them as part of juvenile dependency matters. These requests are vital to our responsibilities as prosecutors. The duty of a deputy district attorney in a dependency case is to act in the best interest of the child. The ICE files include important material on the undocumented child. That information is used by our office to educate the judicial referee presiding over the dependency hearing and to confirm information provided to us through a legal non-profit. That legal organization is the one to file a private petition requesting a Special Immigrant Juvenile Status (SIJS) for an undocumented child. It must be stressed, immigration proceedings would already have been pending for the person whom our office sought information about. Simply requesting copies of the file information could not and did not “alert” ICE to an undocumented person. 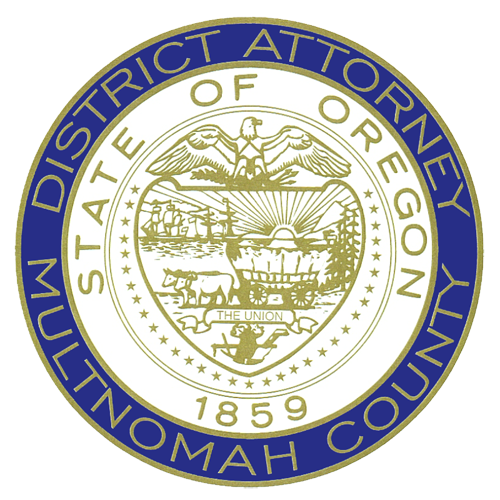 The Multnomah County District Attorney’s Office advised its staff on January 30, 2017 that all communications between our office and ICE must go through a specifically assigned deputy district attorney. In only a few circumstances was this policy not followed. This office will now reinforce our policy to all members. The brief communication with ICE and our office did not violate the specific intent of our policy and was within the requirements of state and federal laws. We interact with our immigrant community every day. The criminal justice system demands the trust of the community. 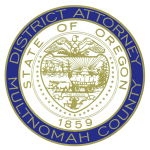 People living, visiting and traveling through our county must remain confident that the Multnomah County District Attorney’s Office stands determined to never volunteer their personal information. We do not proactively share any information with federal immigration officials. The Multnomah County District Attorney’s Office serves the public in a fair and unbiased way. We remain committed to our policy: The Multnomah County District Attorney’s Office does not notify or alert immigration officials or agencies regarding individuals (witnesses, victims, or defendants) with whom we come into contact. This applies to our work in the adult and juvenile justice systems, as well as our work seeking to enforce child support obligations. A copy of the January 30, 2017 policy revision can be obtained here.